Mention is a monitoring platform that allows anyone to know what is being said about them online. With Mention, you can identify powerful social media and web users to help build your brand and gain credibility. Agorapulse helps you to harness your social media content and engagement. Agorapulse has tools for everything from post moderation to keeping eyes on your followers and competition. SocialOomph contains a plethora of advanced features for effectively automating a wide range of tasks across social media platforms. Easily schedule tweets, find quality accounts to follow, and monitor social media activity! Fanpage Karma is an online tool for social media analytics, monitoring and scheduling. It helps social media managers and agencies to engage fans and reach a growing community across social networks. HubSpot is an inbound marketing software platform that helps companies attract visitors, convert leads, and close sales. BuzzSumo is a powerful online tool that has a monitoring feature to help you keep on top of new and trending content. It also allows you to discover and evaluate influencers. Synthesio is an all-in-one social listening, analytics, and engagement tool. Talkwalker is a social media analytics & social media monitoring tool that offers a wide range of insights, functions and analytics filters. Brandwatch is a social listening tool which collates your mentions across the web, allowing you to segment, analyze, and react to conversations around your brand. Zoho Social is a complete social media management tool for growing businesses & agencies. It helps you schedule posts, monitor social mentions, collaborate with the team, analyze performance by creating custom reports, and more. Zoho Social is from Zoho.com, a suite of 35+ products trusted by 30+ Million users worldwide. Twazzup is a real-time monitoring and analytics tool for Twitter. This application is able to read tweets from your timeline, see who you follow, update your profile and post tweets for you. Likealyzer helps you to analyze and measure the potential and success of your Facebook pages. Google Alerts is a free notification service provided by Google that sends emails to subscribers summarizing the search activity around key search terms. Brand24 is a social CRM and Internet monitoring platform. It collects real-time social data from across the Web to keep track of online conversations and comments made about brands and products. PeakFeed is a weekly email that shows you exactly what your brand did on each social network, how well it worked, and how your efforts and results compare to those of your peers. Socialbakers provides dashboarding tools for businesses to track engagement, trends and other statistics of interest across social channels, with a focus on competitive benchmarking by industry. Trackur is a social media monitoring tool that offers brand analytics, sentiment analysis and data reporting. Find out who's talking about your company and what they're saying to evaluate and improve your marketing strategy. 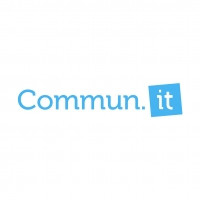 Buzzlogix is a smart and simple, all-in-one social media management, monitoring and engagement platform. 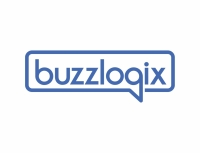 Buzzlogix offers a comprehensive set of features to deliver effective social media management and monitoring. 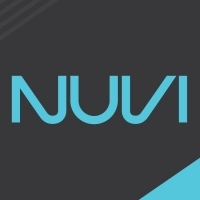 NUVI is a real-time tracking, analytics, and data visualization suite for social media. With NUVI, you can publish, monitor, and analyze your content campaigns. 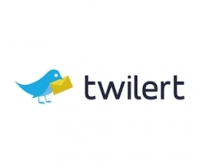 Twilert is a Twitter search tool that sends you email alerts of tweets containing your brand, product, service... or pretty much any keyword you want to track! Mediatoolkit is a media monitoring tool that searches the internet in real time for mentions of your company, your brand, your competitors, industry and any other topic in which you are interested. 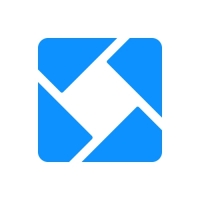 Instant is an Instagram growth bot. 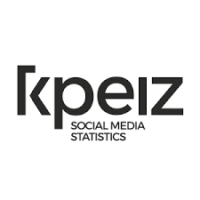 Use our dashboard to identify your target audience to like, follow and comment. Instant shows you the daily activity it makes along with your account growth and engagement score. Grow baby grow!